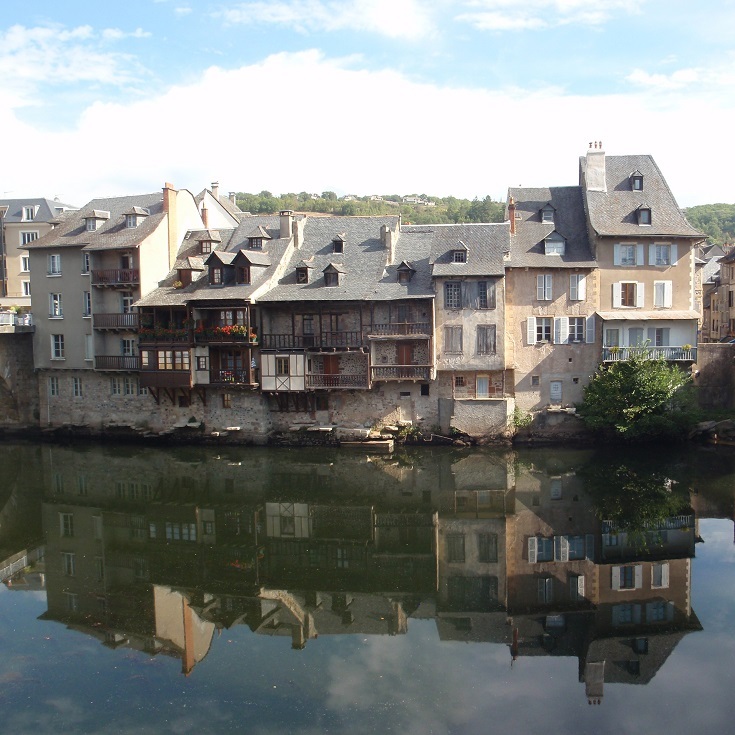 So far the walk along the Chemin de Saint-Jacques du-Puy has passed through many delightful villages. Most have been quite small and wandering around without getting lost has not been a problem. By comparison, Espalion is a large, busy town with several grocery stores, pharmacies, banks—and restaurants to choose from. 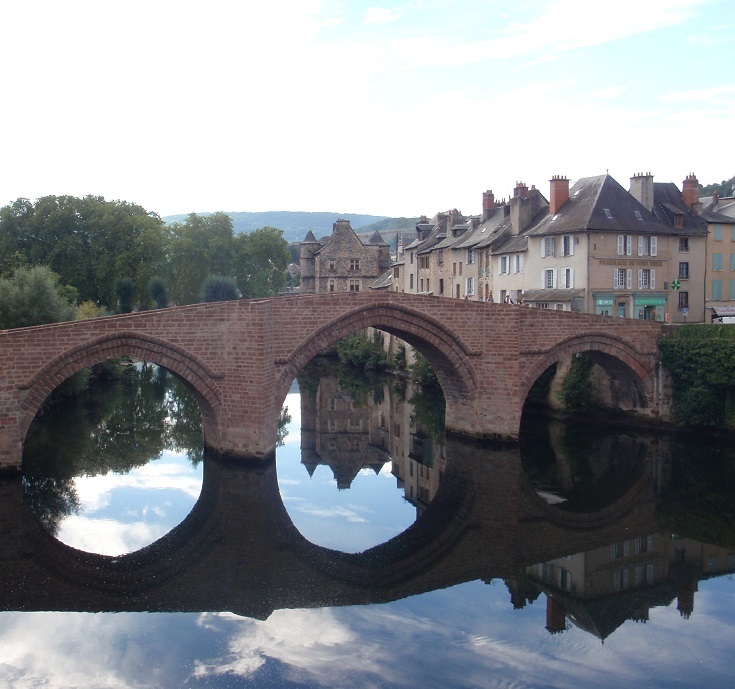 And if you are following my suggested itinerary, Espalion is the perfect place to stop for the night on the third day of walking from Aumont-Aubrac to Figeac. The approach towards Espalion from Saint-Côme-d’Olt climbs a couple of challenging hills although, if you have a TopoGuide or other good map, you can cheat and follow the road along the river. You will however, miss this glorious view of the town, nestled into the valley alongside the river and watched over by the ruins of the fortified château Calmont d’Olt. 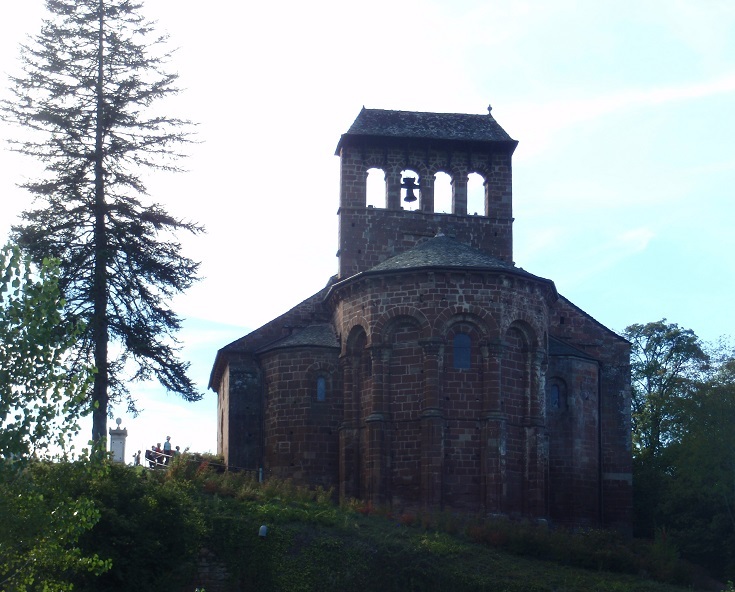 I’ll admit that as I walked along the Chemin de Saint-Jacques, a visit to the château was one hill too many but I had called in on a previous visit. The château offers an interesting insight into siege warfare during the Middle Ages. Guided tours and demonstrations show how soldiers attacked oncoming armies by catapulting boulders down the hill and tell the gruesome story of soldiers hurling decaying animal carcasses into enemy camps to inflict injuries and spread disease. If you’d like to see it, take a taxi up the hill and perhaps on to Bessuéjouls to continue your walk afterwards. I was reminded as I arrived in Espalion in the late afternoon, that a walker’s schedule often has you reaching town when the sun is low and the prettiest buildings are in deep shadow—nothing to do but come back another day, perhaps! Let’s take a walk around town. And a reminder that somewhere on your holiday, the sight you’ve been longing to see will be undergoing renovation and covered in scaffolding! 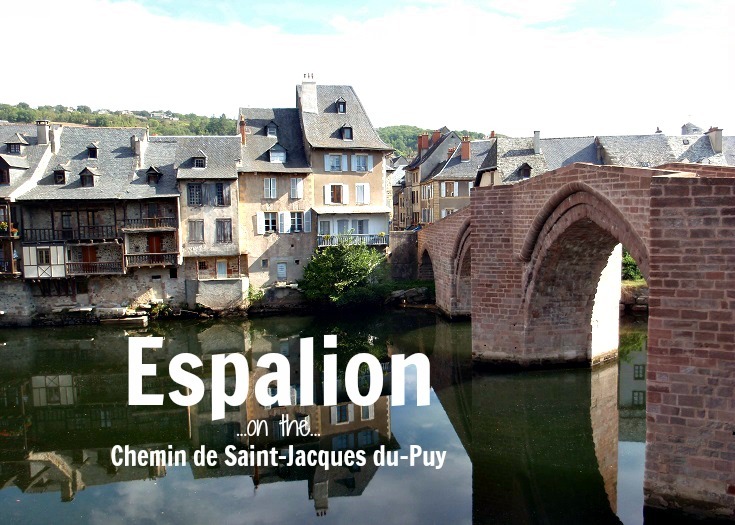 Which long-distance walk visits Espalion?